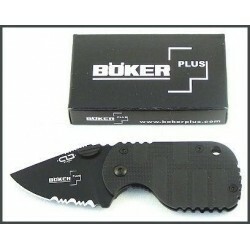 BOP586 Boker Plus Subcom Framelock - 2 3/4" closed wide design. 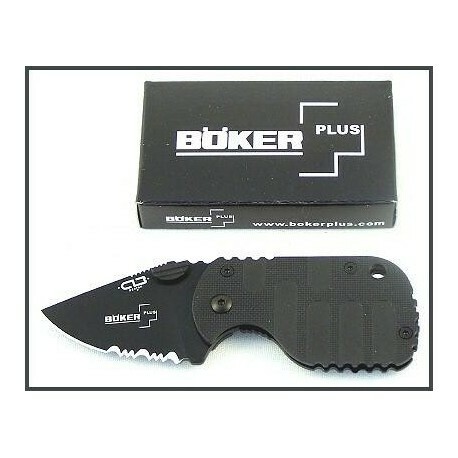 Partially serrated stainless blade with black finish and thumb lug. Black reinforced nylon textured front handle. 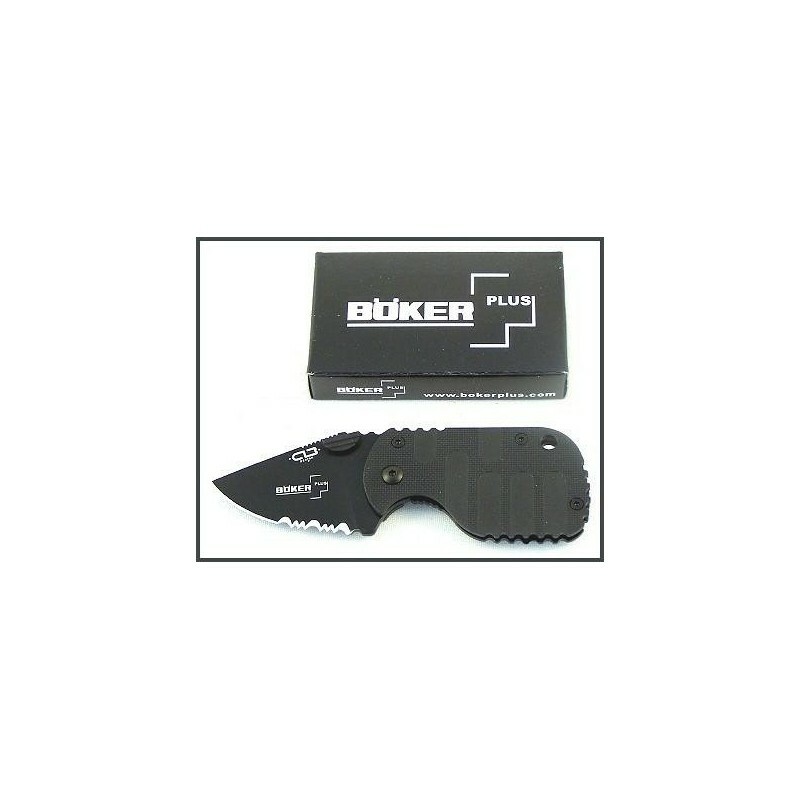 Black finish stainless back handle with pocket clip that may also serve as a money clip. Lanyard hole. Designed by Chad Los Banos.